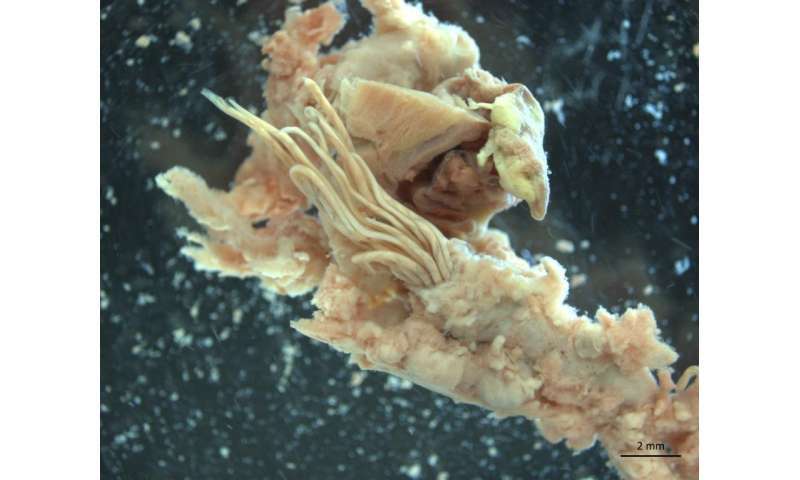 Established in Hawaii and occasionally found in the southern U.S., rat lungworm, or Angiostrongylus cantonensis, relies on rat and snail hosts to complete its lifecycle but can pose a health risk to humans and animals that ingest infected snails. While the fatality rate of infection in humans is low, the parasite can cause eosinophilic (EE'-oh-sin-oh-fil-ihk) meningitis if it becomes trapped and dies in the brain, and severe infections can cause coma or death. This study sheds new light on the extent of the parasite's geographic range in Florida, said Heather Stockdale Walden, an assistant professor in the UF department of infectious diseases and pathology and the study's lead author. "The parasite is here in Florida and is something that needs to be taken seriously," she said. "The reality is that it is probably in more counties than we found it in, and it is also probably more prevalent in the southeastern U.S. than we think. The ability for this historically subtropical nematode to thrive in a more temperate climate is alarming." 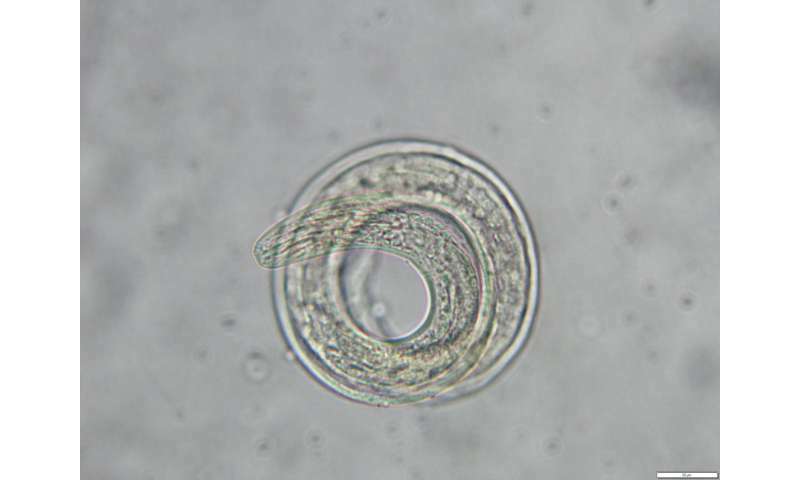 "We expected the range of this nematode to be restricted to one part of the state because it's primarily a tropical species," he said. "But being within another organism could mean it's less impacted by cold weather." Slapcinsky also noted rat lungworm "doesn't seem to be picky" about the species of snails it infects and could threaten native snail populations. In addition to finding the parasite in three non-native snail species, the research team detected the parasite in three native species: the Florida amber snail, Succinea floridana; the perforate dome snail, or Ventridens demissus; and the quick gloss snail, Zonitoides arboreus. "Wash produce," she said. "Some snails are very small and can easily hide in lettuce leaves. Teach children not to eat snails, and if they handle snails, make sure they wash their hands.Be aware of the potential risks associated with eating snails and also raw or undercooked frogs and crustaceans." "If you have questions about your pet, contact your veterinarian and discuss your concerns," she said.